In-ear monitors (IEMs) are an essential part of any drummer’s arsenal. These nifty little things offer you vital hearing protection. They can help glue together a group of lost solo musicians to become a unified musical weapon. This is the case no matter whether you’re an established musician headlining the main stage a festival or a budding beat maker starting off your journey. After all, drummers are not only liable for keeping the tempo. They are the heart of the rhythm section and are typically responsible for keeping the entire band in line. In recent years, in-ear monitoring has been seen as a staple in the professional touring industry. They have also become more affordable and go a long way to helping any beginners get to grips with playing alongside other musicians. There are two types of in-ear monitors for drummers. The first are universal or ‘off the shelf’ monitors. These are designed to fit all ears. The second are custom molded in-ear monitors, which require an ear impression and custom manufacturing of the in-ear monitor. This article is going to dive into universal in-ear monitors. We’re also going talk about custom monitors. Also, be sure to keep reading, as we have also written a lot of great info on how to set up an in-ear monitoring system. – High quality and noise isolating. Learning to play in time with a click is one thing, but playing in time with a group of other people who are often not functioning on the same wavelength is another thing entirely. This is where in-ear monitors can really prove their worth. By allowing you to control exactly how much of each other instrument you can hear, IEMs can provide a straightforward solution for people wanting to solidify their performance as a timekeeper. The modern generation is getting subjected to ever increasing volumes. 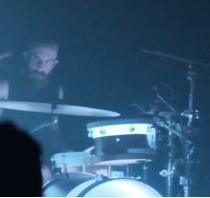 Drummers must protect their hearing as a matter of priority. All of this aside, protecting your ears from the harsh sounds of the stage is very important for any musician. 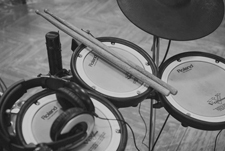 As a drummer, it is something that should be considered from the first moment that you pick up the sticks. Some may argue that any pair of earbuds, like the ones we all use with our iPods, will do the job of on-stage monitoring just fine. However, these offer no real way of blocking out external and damaging noise. 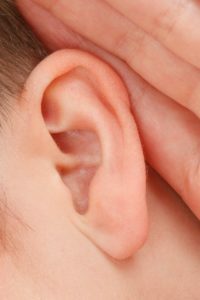 People will compensate for this by cranking up the volume and this has proven to be very damaging to your hearing in the long run. In the same situation, a good set of in-ear monitors can be used at a lower volume that is safer for the user and will return a higher overall sound quality. Along with user comfort, this is one of the main things that you should consider when shopping for IEMs. With that being said, here are 5 of the best in-ear monitors available on the market today. 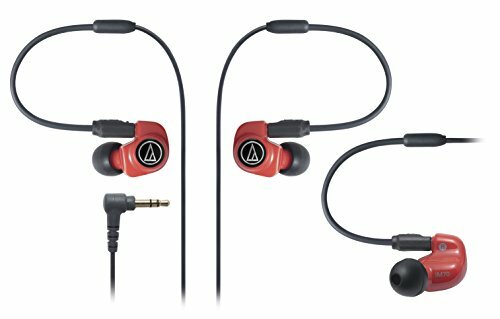 The Audio-Technica ATH-IM70 is one of the most popular choices of IEMs on the market today and with good reason. The built-in dual symphonic drivers in this system provide accurate sound quality at the highest level. These offer crisp and clear treble, along with strong and stable low end. These are great for separation of instruments within your mix and will not distort when used at higher levels. These lightweight, over-ear monitors come as standard with a selection of different sized tips to provide a secure and comfortable fit for any ear. The ability to match the tip to your ear will also establish that excellent protection and noise isolation is provided for the user. One weakness, which I could pick with the ATH-IM07s, is that they have a rather short cable in comparison with competitors out there but overall, these are a great bit of kit and definitely one that you should look in to. 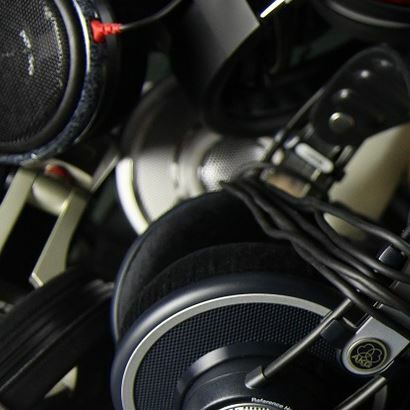 These incredibly affordable and lightweight monitoring headphones are built for user comfort. They can also boast great sound spanning a wide range of frequencies. Not only this, but the M6 PRO outfit comes with a few nice features that other IEMs do not. One handy feature is the sweat resistance of these in-ear monitors. Sweating is something I’m sure all drummers know all too well so these are a great option for people seeking a durable headset when it comes to water resistance. Another great feature is the detachable earbuds, allowing you to disconnect from all wires and ties while still maintaining that crucial ear protection. This is particularly useful for drummers. This will come in handy for people jamming alone who don’t need to use the in-ear audio but also don’t want to fork out for extra wireless protection. This single driver IEM system is definitely one to look out for when making your decision. This is one of the only in-ear monitors on the market offering a studio monitor style flattened frequency response across the whole spectrum. Depending on what you like to hear in your mix, the Westone UM Pro10 offering this level response could be seen as a godsend among a market of bass-boosted IEMs. Not to say that the bass isn’t present at all but if you are looking for a system capable of undistorted bass at high volumes, you may want to choose another monitor. However, if an even mix is your thing, these also have you covered in the comfort department, also offering a choice of ear tips to fit the user and detachable earbuds for that unrestricted protection. 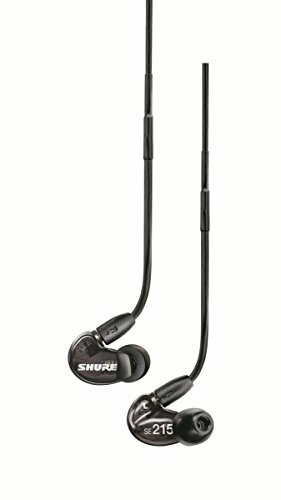 Shure has been a huge company within the audio tech world for a number of years now and there’s more than one reason why they are so well looked upon. 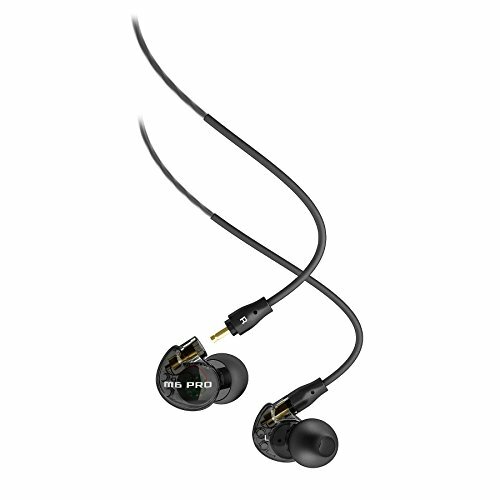 One of their many answers to the in-ear monitors world is the SE215. These mid-range earphones come equipped with a few nice features that may be what you’re looking for. Weighing in slightly heavier than some others in this list, these monitors hold an over the ear cable design and excellent driver producing some of the most responsive low-end frequencies from any on this list, while maintaining a crisp, balanced high end and a warm mid range. Also coming with a range of ear tips and detachable cables, these are an excellent choice if you’re looking for versatility. If you’re looking for in-ear monitors that are something a little closer to the top end of the price scale, the ER4P-T Micro Pro monitors might be the ones for you. With all of the bits and bobs alluringly packaged in their own hard carry case, these headphones will never fall victim to any travel damage. The stock earbuds are a triple flanged, beehive-like shape. Depending on what you like or what you are used to, these could be the best thing to happen to your ears. They could also be something that you just can’t get used to. However, with the never-ending range of aftermarket tips out there, this wouldn’t be an issue if you didn’t take a liking to their unique design. The long, thin shape of the headphones is also unlike many other competitors out there, most settling for the more bulky option. Inside you’ll find a single driver, which packs a lot of punch for the size of the casing and also a small filter that prevents any dirt or earwax from clogging the driver. Replacement filters are also included in the box. This is something that isn’t offered by many other IEMs and could be a big step towards more long lasting headphones. The Etymotic Research system also offers a very long cable, coated in PVC for extra strength and durability. In terms of sound quality, these are another IEM that offers excellent tonal separation across the whole frequency range but can lack in low-end power compared to others out there. 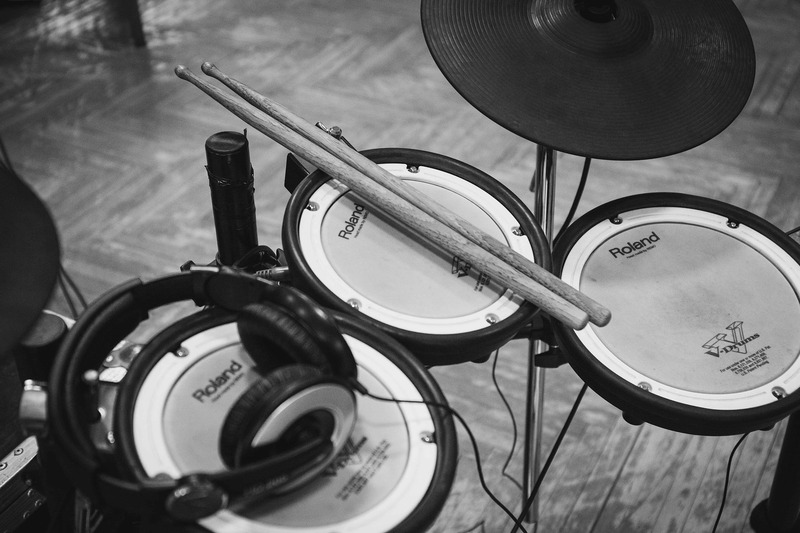 If you’re on the lookout for an Electronic Drum Set, make sure to check out our article on the best electronic drum sets. Custom in-ear monitors are made to the exact specifications of your ears. These have added benefits of noise isolation and great fitting. However, they can be a lot more expensive and require ear impressions. Custom mold: This is where an audiologist inserts a quick-hardening substance into your ear, and down part of the curves of your ear canal. It’s a weird experience, but it is quite effective. This custom impression is then sent to the manufacturer for your in-ear monitors to get created. 3D laser scanning: The brand ‘Ultimate Ears‘ started investing in laser scanner technology a few years ago to bring ear impressions into the modern age. These are now available in many locations. It’s totally a matter of preference of choosing either universal monitors or custom fitting ones. If your main priority is sound isolation then custom monitors offer an advantage, however universal monitors offer much better value for money in terms of sound drivers and audio quality. However, if you have a very large budget, I’d recommend going for a top end custom fitted in-ear monitor. Do you really need a pair of in-ear monitors? You could also potentially get away with a good set of musician’s earplugs for live performances while using the usual wedge monitors. Read our article on musician’s earplugs for more information. I think any musician should always have a pair of these in their pocket. If you’re at a concert or situation where the noise has gotten too loud, you can always reach for these. 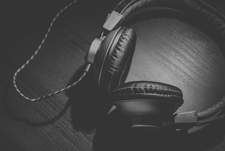 Your hearing is your most vital asset as a musician. Make sure to protect it. In-ear monitoring is definitely one of those things that revolutionized live performances and music industry in general. Although it was developed more than three decades ago, it actually became a common thing among musicians only around 15 years ago. In the early 2000s, these small and convenient systems finally became less expensive. These days, in-ear monitoring is a quite affordable thing. With just a few hundreds of dollars, you can get your own setup. Among professionals, you will hardly find artists that haven’s switched to this convenient way of monitoring. Even amateurs use it massively. If you’re not among them, it is time to make that huge breakthrough and make your life easier. Benefits of IEM systems are numerous. First of all, there is a health issue. 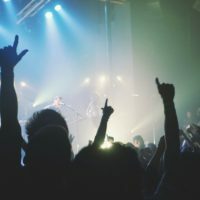 Everyone knows that too loud stage can permanently damage your earing and artists with such issues are a pretty common phenomenon. Of course, the accurate sound is something that bothers most of us, even more than potential hearing loss. Many musicians play in large bands, with too many instruments around. In many cases, you can’t hear yourself properly in that mud and, to be honest, you actually don’t need to hear all those instruments at all. The great thing with IEM systems is that you can easily make a setup and hear only the things you want. It may take some time to get used to, but once you become familiar with it, you will feel all the benefits. What Are the Advantages Over Traditional Monitors? You can get much more tailored monitoring when using in-ear devices. IEMs isolate the outside noise so you can hear your own mix much more clearly. This also means that you can lower the volume while still being able to hear the mix properly. Lower on-stage volume also significantly reduces the possibility of mic feedback. You can also play with a click in your ear when using in-ear monitors. Many modern bands are using metronomes in their live performances to improve their timing. The difference can be very noticeable! How to Set Up an In-Ear Monitoring System? In almost every scenario, your live setup starts with the instrument and ends with the PA. In-ear monitoring stands somewhere between. There are several ways to monitor your playing, but the principle is always the same. Basically, what you have to do is to split the signal from your instruments and make two roads – one to the PA and other to your IEM system. You can often get the sound engineer to create separate mixes. Alternatively, you can use your own mixer to create separate outputs. One of the most important aspects of the setup is the in-ear monitor amplifier. This is a personal piece of equipment. In the past, these were quite expensive devices. These days, you can find lots of affordable product with a decent quality. I’ve used the Behringer Powerplay P1 and it’s a great little piece of kit for a drummer. It is a quite reliable product that comes with a pretty good quality and all necessary features. Stereo/Mono mode, Level and Balance controls, two XLR outputs and headphones output are some of the highlights. As a drummer, you probably don’t need a wireless amplifier. Therefore the Powerplay P1 is a nice cheap option that will still work great for your needs. You can easily create your own personal mix of both a metronome and the live monitor signal. The Behringer Powerplay P1 has two inputs. 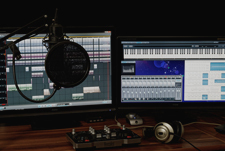 Simply plug one monitor mix input and one metronome signal (from a metronome device or software on your laptop), click the ‘mono’ button, and turn the faders to adjust the balance between the two signals. Easy! If you’re looking to use a click live then check out our guide on the best metronomes for drummers. They are a lot more reliable than using a phone app! The next step would be to decide whether you want to go on stage wired or wireless. Each method has advantages and disadvantages. With wires, you can count on better reliability, but this also means that you should go for hi-quality, more expensive cables. Additional cables usually mean more troubles on stage. If you like freedom of movement, a wireless system is the one for you. Once again, you should stick to renowned manufacturers, to products that proved themselves are reliable devices. This would mean renowned audio companies like AKG, Shure etc. In practice, this also means a higher price tag. Along with the receiver, you will need a quality transmitter. 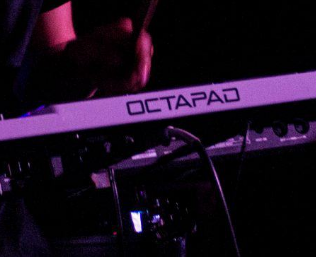 If you play in a band, you would need a transmitter that works on different frequencies and can be connected with multiple receivers. I recommend sticking with a wired system unless you really want a wireless one. Wireless interference with other on-stage devices can be a pain at stage time! Wired systems are also a lot cheaper! 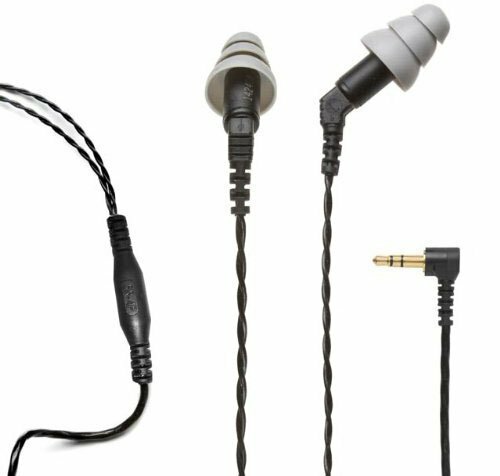 A good way to save money could be to get a complete IEM kit, which includes a transmitter, receiver, headphones and other necessary features. A hi-quality Shure PSM300 is good choice for professionals. This is a highly-reputable audio company with decades of experience in sound engineering. If you’re looking something more affordable, this one is also a very reasonable choice. It comes from a company that is well-known for a good balance between price and quality. Moreover, it is one of the most popular products of its kind, thanks to a versatile transmitter that comes with 100 pre-programmed and also adjustable frequencies, which makes it perfect for a band. The transmitter comes with all necessary outputs, as well as with equalizer and few more useful things. A highly recommended product for sure. Don’t just use IEMs with one ear! One the things you must be aware of is that you shouldn’t use IEM in just one ear. It’s an easy mistake to make, but it’s a sure way to damage your hearing because you will always want to crank up the volume. If you use in-ear monitors in a proper way, you will quickly start to enjoy all the benefits. First of all, this refers to the health issue, on preventing or reducing the risk of hearing loss. Also, you will enjoy a much more accurate sound compared to on-stage, folded-down monitors. 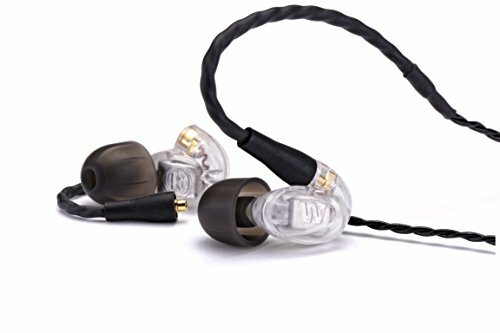 What are the Best In-Ear Monitors For Drummers? 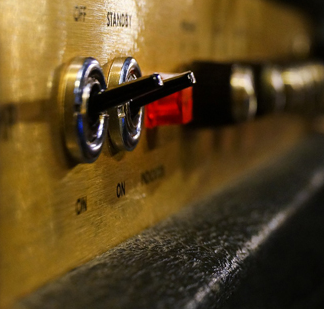 Finding the perfect universal in-ear monitors for you could take a lot of trial and error. Maybe you could fall in love at first sight, or perhaps first sound? Either way, I would definitely recommend that you check out the IEMs mentioned above. They are all very good pieces of kit and they would all be more than sufficient to try out for your first time experiencing an IEM. If I had to narrow it down to one headset mentioned, it would be a difficult choice. However, I would personally go for the MEE Audio M6 Pro. A lot of the headsets share similar features but this one has it all, and for a fraction of the price of others out there. The detachable earbuds are incredibly practical and come in very handy if you damage a cable as these can be easily replaced, meaning you won’t have to buy an entirely new headset like some other IEMs. The low-end capabilities of this headset at higher volumes are unmatched by other headsets in its price range and as a drummer, I personally feel that that is very important. I feel that you need that low-end thud to punch through when you play. It’s lightweight, comfortable and the sweat proof design sets it out from others in the market. Definitely, a good place to start. As you can see, in-ear monitoring isn’t as complicated as it looks and you will definitely enjoy the benefits it brings. Also, these systems have a gotten a lot cheaper. As a drummer, the ability to have a click in your ear while also hearing a very accurate representation of the sound is fantastic. If you don’t currently play with in-ear monitors, I would high recommend that you try them out.